President Muhammadu Buhari has criticised a former president for spending billions of dollars on power projects in the country with no results. According to the President, one of the former Heads of State had bragged that he spent 16 billion dollars on power yet there’s been nothing to show for it. 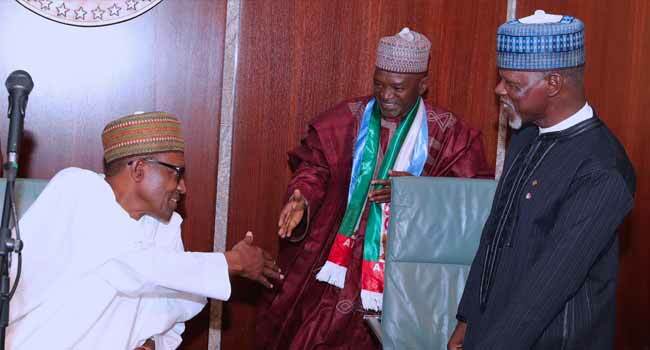 Buhari made this known on Tuesday while addressing a Buhari Support Organisation led by the Comptroller-General of Nigerian Customs Service, Hameed Ali, who visited him at the State House. He said: “One of the former Heads of State between that time was bragging that he spent more than 15 billion American dollars, on power. Even though President Buhari did not mention the name of the former president, he may have been referring to the Olusegun Obasanjo administration which spent billions on power projects. Consequently, there were several calls for investigation into the expenditure of power projects. In 2017, the Socio-Economic Rights and Accountability Project (SERAP) had called for an investigation to “reveal how over N11 trillion meant to provide regular electricity supply was allegedly squandered under the governments of former presidents Olusegun Obasanjo, Umaru Musa Yar’Adua and Goodluck Jonathan”. 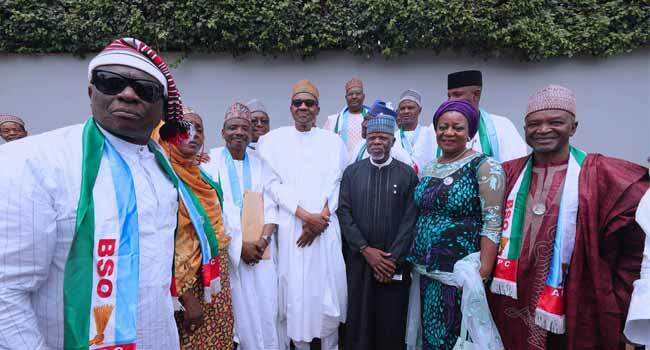 Beyond accusing the Obasanjo administration, President Buhari criticised other past governments for their failure to effectively manage the nation’s economy. He further criticised those who defrauded the nation, describing them as “economic saboteurs” who according to him, lacked imagination and also failed to plan for Nigeria’s development. “Sometimes, I wonder about those who can afford to send their children abroad for studies and yet continue to sabotage the economy, I wonder what kind of Nigeria they want their children to return to and work. “There is a lot of lack of imagination. If you are working for the country, then you shouldn’t be misappropriating and misapplying public funds the way people did,” he said. 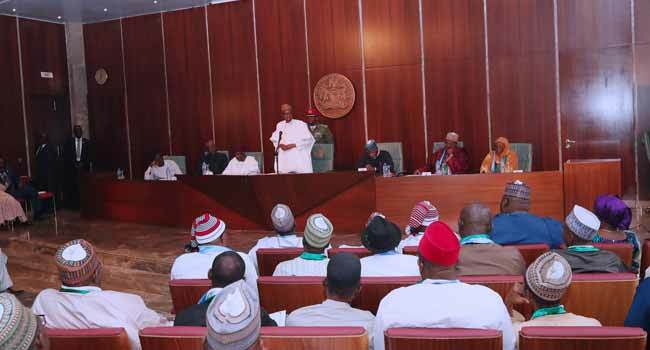 The President also took a swipe at the National Assembly saying “this year and last year’s budget which I took to the National Assembly were the highest in capital projects: More than 1.3 trillion Naira. Although the 2018 budget had been presented since November 2017, it wasn’t passed until May 2018. President Buhari, therefore, scored his administration high saying under his watch, the 2016 and 2017 budgets recorded the highest appropriation and releases in capital projects, with over N2.8 trillion disbursements in two years. 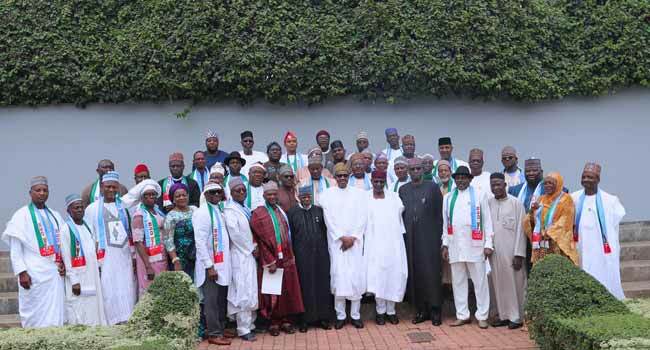 He also urged Nigerians to remain vigilant and ensure that only “people of conscience are in-charge of governance at all levels”, even as the 2019 general elections draw near. Furthermore, he asked citizens to reject those bent on dividing the country along religious and ethnic lines, warning that they do not mean well for the country. “I have said severally that we do not have any other country than Nigeria and we will remain here and salvage it together”.